Q: How do you like married life so far? Brian: "It's nice. It's really a down-home type thing, and it's something I've always wanted to do." Q: Why do you think so many groups get successful and then break up? Brian: "I think a lot of the problem is that the members don't communicate. I think we've established a really good friendship with eachother, and that's what's going to keep us together. Individually, we have goals, but we've come to the realization that we can help each other achieve those things. I think that's the best way to stay together, and I really think we're going to be a group forever. 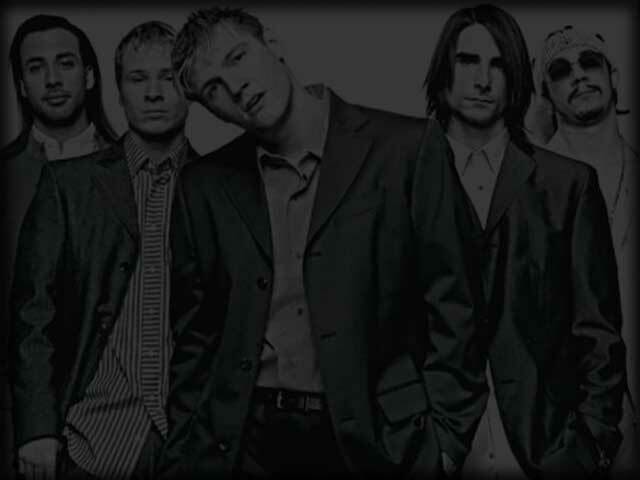 there'll never be an end to the Backstreet Boys." Q: What the worst thing about being famous? Brian: "Everybody expects you to be on a stage and sometimes you just want to be normal. I think people, without really knowing us, have misconceptions that we're arrogant, or they say we're stuck on ourselves. For instance, if we come into a place and don't talk-if we're just laid back and quiet- people think we have a problem or we're arrogant, when really we're just being mellow." Q: How do you chill out afer a show? Brian: "To unwind, I get on the phone and talk with my family and Leighanne, or I'll hang out with the guys. And sometimes, after we do a show, I have a lot of energy, so I'll go out to clubs, go dancing, catch a movie or just hang out and talk with some fans." Q: How do you choose who's going to sing lead on a song? Brian: "Basically, when we go in the studio or when we're writing a song, we'll have ideas about who wants to sing what. And a lot of times, when we work with different producers or writers, we'll all take turns singing verses to figure out who fits the best to that song. gWnNVG Why do copyright holders only allow people from certain countries to view their content? W0VbYI Really informative article.Really thank you! Much obliged. h4S19c Really informative blog article.Really looking forward to read more. Fantastic. cijBkz Thanks for the post.Much thanks again. Really Great. KLBRyJ I really liked your blog article.Thanks Again. rbLTf5 fantastic submit, very informative. I'm wondering why the opposite specialists of this sector don't understand this. You must proceed your writing. I am sure, you've a great readers' base already! 9u5YdR Valuable information. Lucky me I discovered your website by chance, and I am stunned why this accident didn't came about earlier! I bookmarked it. XHdwmo Hello my friend! I want to say that this post is amazing, nice written and include approximately all important infos. I would like to see more posts like this.